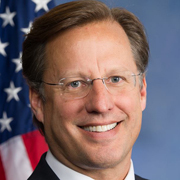 The Stream decided to ask an expert, Congressman Dave Brat of Virginia. Q: Please explain in ordinary laymen’s terms what this “discharge petition” is, and how it relates to immigration amnesty? Rep. Dave Brat: A band of pro-amnesty Republicans have banded together with the Democrats to sign a petition that would discharge a grouping of immigration bills to the floor for a ‘queen of the hill’ vote. During ‘queen of the hill,’ lawmakers will have the chance to vote on as many bills as they’d like. Whichever bill gets the most amount of votes would get a full up or down vote on the floor. In this scenario, with the Democrats backing the DREAM Act, the DREAM Act would win the floor vote. 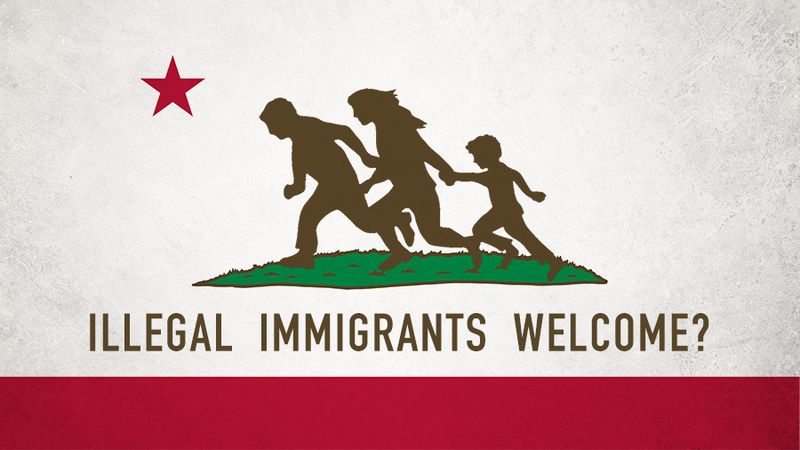 Q: How many illegal immigrants would this bill, if made law, legalize? 3.7 million on the path to amnesty initially. But, over the next 10 years, through chain migration, 10 million illegal immigrants could be granted amnesty. Remember, Obama’s DACA only affected nearly 800,000. The compromise bill, introduced by Rep. Goodlatte entitled Securing America’s Future Act, would fix border and enforcement loopholes like chain migration and the visa lottery, and at the same time provide legal working status to the DACA kids. Come On In, the Amnesty’s Fine! Q: What message does it send to parents in poor countries today, if we grant amnesty to the so-called “DREAMERs” and beneficiaries of Obama’s unconstitutional DACA? Q: Explain please why the Democrats are so lockstep behind this plan? Democrats are behind it because it’s their platform these rogue Republicans are pushing. Q: Okay, but then why are there so many Republicans signing onto it? Q: What do you think is a better compromise on immigration? Is there a bill already before Congress? The bill introduced by Rep. Goodlatte, the Securing America’s Future Act is the compromise bill. It fixes our border crisis, provides funding for a wall and provides a one-time act of grace to those residing here illegally, but no amnesty. Q: Do you think that the choice of the next GOP House Speaker will have a big impact on whether we solve our immigration problems? I hope, and a lot my colleagues hope, that we get a speaker who is serious about fulfilling the promises we made to the American people. Q: How do citizens make themselves heard on this? American patriots should call into their local representatives’ offices. Take to social media. Write letters to the editor in the local papers. Contact local conservative grassroots organizations. 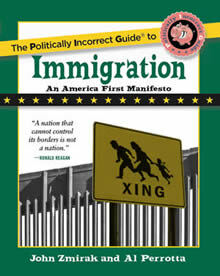 Q: Would you like a free copy of our new book on this, The Politically Incorrect Guide to Immigration? Trump just said he would veto it. It would also have to get through the Senate which seems to be moving at McConnell the Turtle speed. I want to see who votes for it, then see who is running against them in the Primary so they can be Cantored. Even better we can “discharge” Ryan from the Speaker’s office like we did Boehner and get a real tea-party conservative there who will work with Trump. Unfortunately it is probably too late to Primary the rogues as most of the primaries are over. It isn’t amnesty .A humanitarian crisis has led to people sending their kids here. It is inhumane to not take people in who need help. That’s absurd. Have you actually done the math? Do you know how many people thoughout the world want to come here? We cannot take everyone that thinks they could make more money here—or that would get better welfare benefits here. Think of your own household. Would you say that anyone in the city that wants to come to your home and avail themselves of your bank account, food, and other services—on their terms—was welcome to do so?! You can PERSONALLY open your own house, and pay with your own money the healthcare, room and board for anyone who needs help. THere are probably homeless in your own city. How many do you PERSONALLY help, or do you just put guns to other people’s heads and claim it isn’t robbery because you need to rob (tax) people to do the humane thing? I have helped out quite a few people . OK, then put up your contact info so anyone who needs help can go to your property and not get on the taxpayer dime. I believe that we also should have charity and government work together to help people. People receiving government benefits are not always lazy. But: 1. Government robs me so it isn’t charity at all, and 2. Government doesn’t care if you are lazy or gaming the system. Private Charities on a limited budget do, and if they waste money, they will lose contributions. The IRS won’t let me limit my contribution for anything – slaughtering people with drones, wasteful military toys, endless studies, ethanol subsides, or other crony welfare queens – nor undeserving poor, and not really disabled SSI recipients. I agree that we shouldn’t pay for most of those things. But great things came out of government studies . Like for example the internet came from a government project in 1960s. It was the 1970’s DARPA that created the foundation of the Internet. We also had the Syphillis studies where blacks were denied antibiotics so could be studied, I think it was Tuskeege, and similar things in Guatemala. Yes, great things come out of government studies, as long as you aren’t the guinea pig. True not everything is prefect. The roots of the net go back to late sixties. Actually back before the 1860’s with the transoceanic telegraph cables, but you have to draw a (telephone or telegraph) line somewhere. Too many RINOs in the swamp.